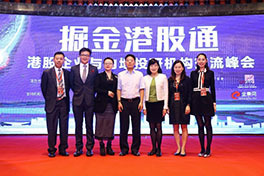 Themed "Trenching HK Stock-Connect", the 2-day event served the purpose of strengthening the understanding of HK ListCos by Mainland brokers. Representatives from around 80 HK ListCos networked with investors and analysts in Shanghai. In the aim to build a better interconnected environment, HKIRA has organized “Stock Connect Onshore Corporate Access Day” for the second time this year on June 15 to 16 in Shanghai, bringing around 80 Hong Kong eligible stocks under Stock Connect to network with over 200 leading mainland brokers. 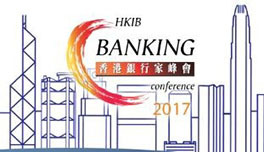 The two-day event was organized jointly with HKICS, CHKLC, HKCEA LCC and New Fortune, and was fully supported by HKEX and SHETO of HKSAR Government. 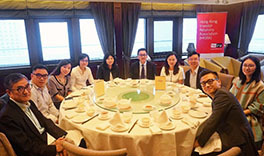 We hosted this event to encourage the research coverage of Mainland sell-sides, to enhance the awareness of Hong Kong listed company in Mainland for increasing the trading volume, and to promote the culture of onshore investor relations initiatives. Members Luncheon on 7 July 2017. 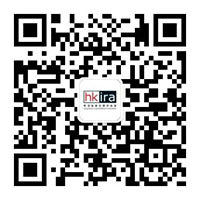 Leverage on social media platforms with HKIRA to expand your IR connection. Subscribe to our WeChat official account, and send us a text message saying "I want to join the IRO group!" Have you come across seeking someone's IR advice when you encountered a situation, looking for reviews on a service provider from some practical users, or searching for a new opportunity in your IR career? Professional peers are what you need to get the answers. HKIRA welcome IR peers to join us and together strengthen the community. We are keen on providing a platform for IR practitioners to exchange views and to share knowledge and experiences. Offline, we host educational seminars and conferences, and networking events for members and the IR community. 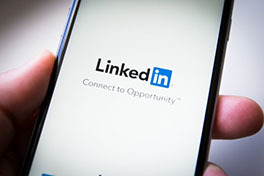 Online, we build connections via LinkedIn, and we link hundreds of IR practitioners across Greater China over WeChat group, where we have the most immediate discussion on topics that closely related to IROs. Members and IR specialists can leverage on LinkedIn to build your professional network with potential investors and IR peers globally. 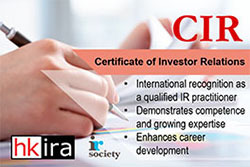 Proudly show yourself as a professional who value your IR work - emphasize your IR professional skills, share your IR Awards achievements, showcase specialized certifications, and feature your HKIRA membership and fellowship. The profiles of HKIRA Fellows might give you some hints for update. 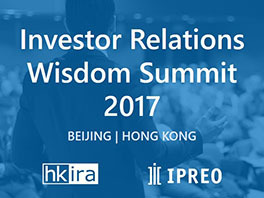 Since 2016, HKIRA launched the HKIRA Fellows Recognition Program to distinguish senior members who epitomize expertise, experience, and contributions to HKIRA and the investor relations industry in Hong Kong. These individuals have made contributions to the betterment of the profession and HKIRA throughout their careers. 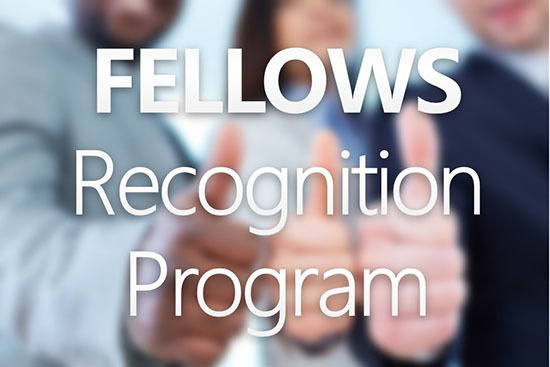 Apply and be awarded the designation of "HKIRA Fellow" today!